Y-Luk-O is a project inspired by industrial, electro and experimental music. The band was founded in 2000 in London by Leonardo von Leibnitz and Yluko. In 2003, Siegfried Grampe also joined the bands and became an important creative part. 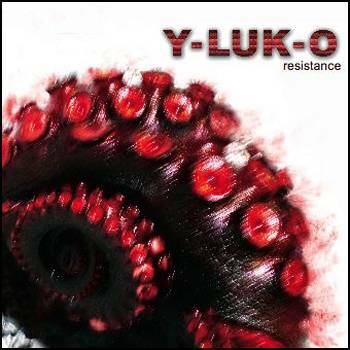 The forth Y-Luk-O release, “Resistance”, will hit the streets on November 21st 2005. The cd contains new songs and some remixes of Resistance song, remixes by various artists like Dark Red Star, Brainclaw Deflektor, Fearless and others. The EP is an EBM/Industrial with electro and experimental influences like Herbstlaub, Translation Error, Disintegrate and other songs have some oriental and ambiental influences like Ahead, The day after (she left). Interlude no.35 is a spoken song with some experimental sounds in the background. Brainclaw Deflektor said on their website: "Y-Luk-O received Resistance (The Brainclaw Deflektor Remix) which added more weaponry and lethal armor to an already dangerous audio weapon of mass destruction." and they were right about it.